FOREIGNER: YOU WANNA KNOW WHAT LOVE IS? "I want to kiss you" a diner exclaims. She's just tried the yellowtail nigiri that, moments earlier, had us in a trance-like state. She's talking to sushi chef, Michal Kubiak, who opened Gaijin Sushi on Friday in the most unassuming of places. It means 'game changer' in Japanese. THE WHAT: Gaijin Sushi seats ten, with every seat overlooking chef's raised kitchen. Michal could have made that eleven, or configured the space with tables to get more covers, but this is about so much more than churning out food. Grabbing for a blowtorch, Michal tells us "I want people here, sitting by me, talking to me, and talking about the food while it's being prepared in front of them." It's working — everyone who walks in seems to know Michal, they've missed him in fact. He's been out of the sushi scene for six months quietly prepping Gaijin, and you can tell he's missed it too. He's in his element. THE WHERE AND THE WHO: You'll find Gaijin, here, a couple of doors from Quarter Horse Coffee on Bristol Street. Michal was looking at a spot near "the fatty burger men" as he brilliantly calls the Original Patty Men, but drove past this venue, noticed it was vacant and here he is. 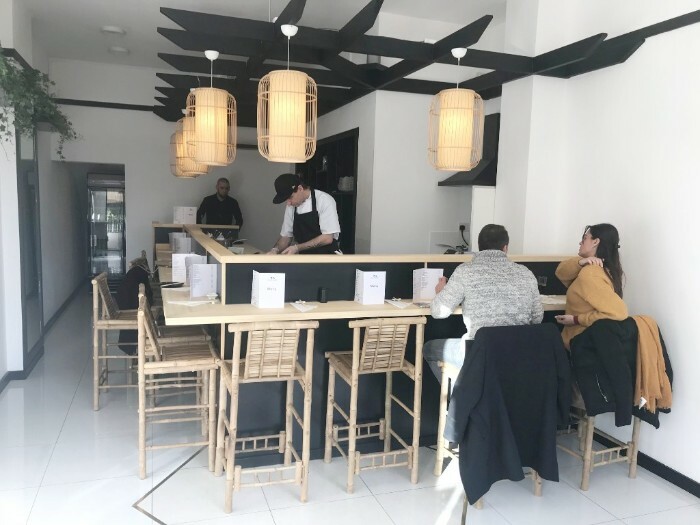 If you're big up into your sushi, you might recognise the Polish-born chef from Sushi Passion, where he previously worked. 'Gaijin' broadly translates as 'foreigner', and the name choice is very deliberate. When we ask if we should have soy with our surf clam sashimi, Michal smiles: 'If you want soy, use soy. In Japan they’d tell you not to but I am the gaijin — I am the foreigner. If you want ketchup, I’ll make you ketchup." We dip into our soy without even the smallest concern we're 'doing it wrong'. 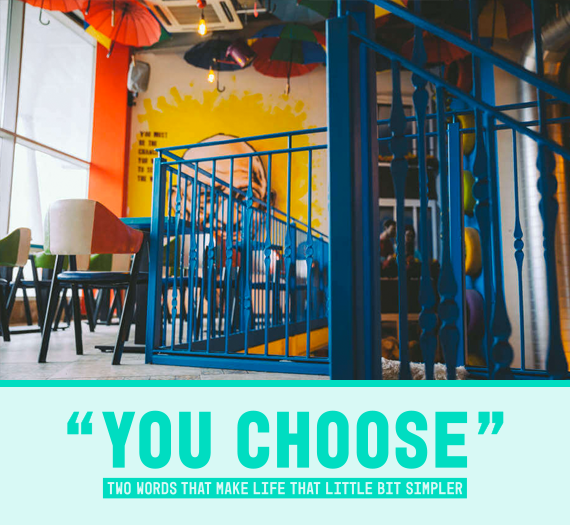 This is brilliant food without the pretence you often find at sushi joints, and the price is right — Michal looked at the menus of his competitors and "slashed pounds off". The sushi starts from £3.50. THE KNIFE: Deftly slicing into yellowfin tuna, Michal introduces us to his lovingly kept companion of over five years. His yanagiba knife is made up of 16 layers of Japanese steel. 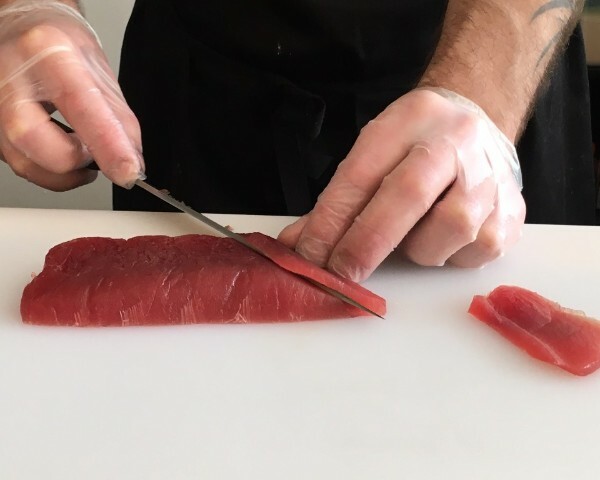 The back is concave to easily detach the blade from the fish being cut, and the super sharp front allows the sliced piece to be easily removed from the blade after cutting. It's an extension of Michal. A partner for life. 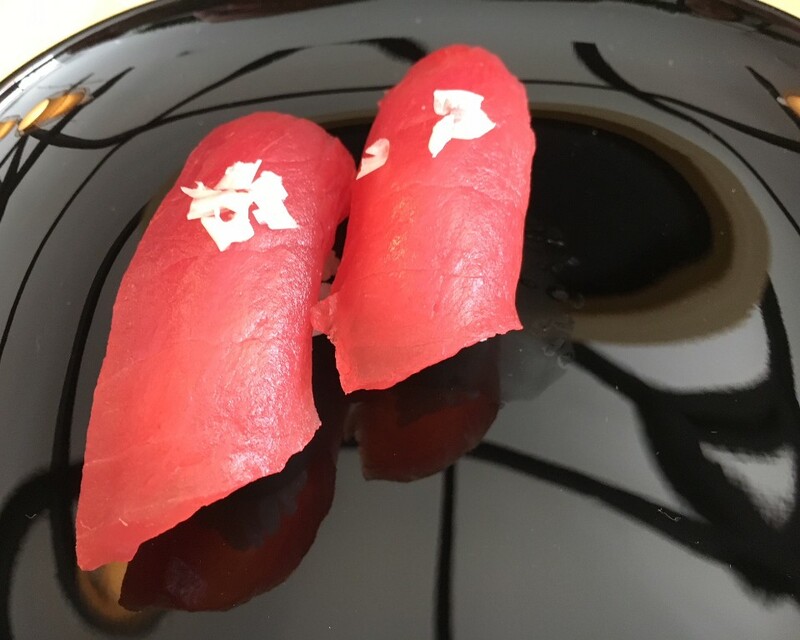 THE FISH: From Japanese scallops, to Spanish belly tuna, to fresh sea urchins from Iceland, Michal credits his sourcing for a lot of the superior flavour of his sushi. And on the subject of those sea urchins, they're only in season until the end of March. We're calling them the best dish in Brum that we absolutely cannot stand. Whatever your conclusion, a must try that won't be back until October. THE ORDER — Everything involving a blowtorch was tremendous. 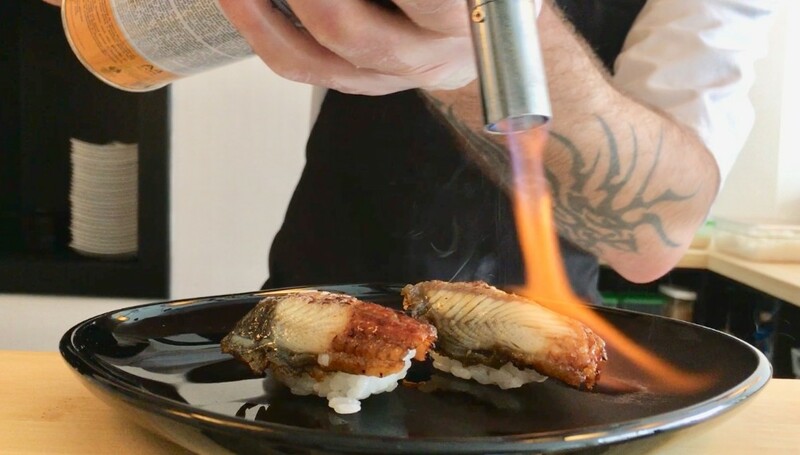 The scorched eel nigiri was particularly standout, with a beautifully caramelised flavour, and the heat disintegrating the little bones you'd otherwise be able to feel. 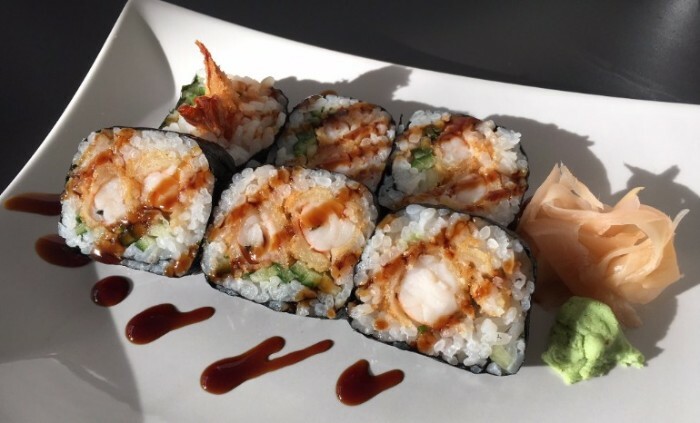 If you like scallops, you absolutely have to try the sweeter Japanese variety Michal is serving as nigiri, and we had all the time in the world for the soft shell crab futokmaki — which broadly translates as 'fat roll' because it has more than one ingredient. Hosomaki, meaning 'thin roll' will contain only one. Each dish is matched with a perfect little something: delicate pieces of pickled ginger, or ponzo sauce made from the Japanese citrus yuzo, or diced scallion — that's spring onion to you and me. Precision is everything. 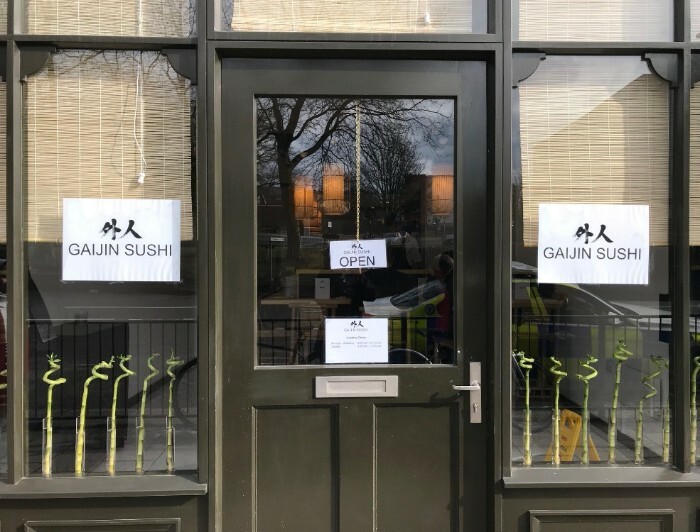 And though Michal continually tells us he is "no sushi master" — and he means this genuinely — he's serving up the best sushi, in the best environment for it, in Birmingham right now. Watching a professional company handle themselves when something goes wrong in a live performance is pretty amazing. 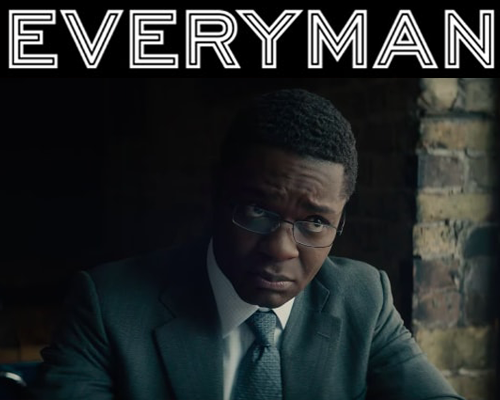 So who's for a show where the whole premise is that everything goes pear-shaped? Continuously. 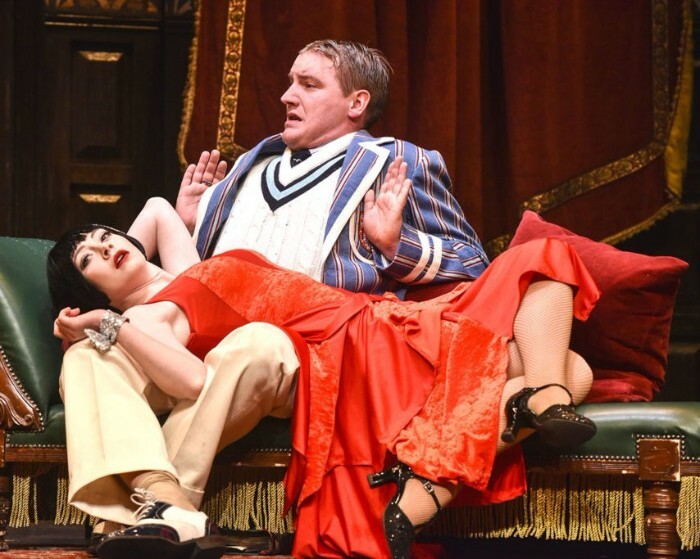 The New York Times calls The Play That Goes Wrong “a gut-busting hit”, those folk at Olivier awarded it best new comedy, and it's selling out on Broadway. So maybe consider joining The Cornley Polytechnic Drama Society, an unfeasibly accident-prone bunch of thesps, as they attempt to put on a 1920s murder mystery. At the Hippodrome from March 27 to 31, even the trailer has us in Gervaisian pained laughter.Tickets are £16.50. We mourned our childhood a little bit when they announced Dippy was ending his tenure as the gatekeeper to the Natural History Museum too. But then news broke that the 21.3 metre Diplodocus carnegii was making haste to fair Brum, and we were suddenly very okay with the whole thing. An audience with the skeletal cast is free, but you're going to want to book, which as of this week, you can do. Snag a 45-minute slot between May 26 and September 9 right here. Or go big and break bread with the old guy. 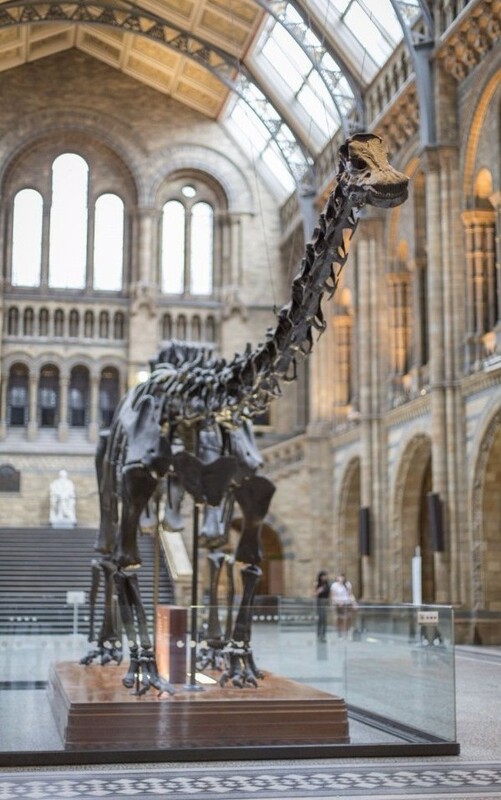 On June 7 and 14 you can do din-dins with Dippy in Gas Hall. Here he is heading to Selfridges to buy some BOSS jeans. 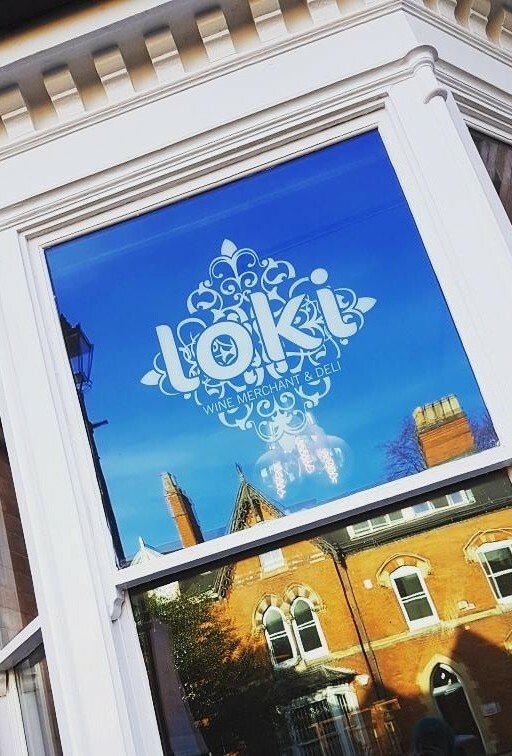 If you're looking for an excuse to get sight of Loki's new Edgbaston outpost, we've done-gone-got-it. The team have launched monthly gin tastings, focussing on the latest in juniper and tonic-trends, through four premium Gs, and four premium Ts. The 90-minute sessions will go at a Sunday-appropriate pace, led by Carl Hawkins, with all the garnish-game you're hoping for. 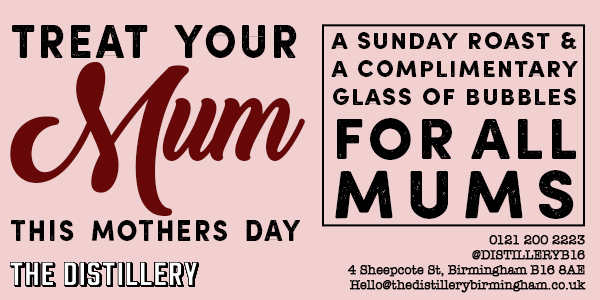 You can book on to tastings running April through to July right now — the very first tasting will take place on April 22 at 4pm. 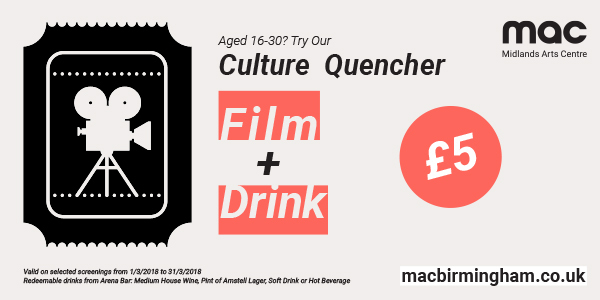 It's £25 a pop. Monday to Friday next week. No catch. Wee bit obsessed with Narcos? The men who inspired the show are in town on May 12. Tickets are from £34.25, of course. We keep missing out on tickets to catch The Wilderness at the Rotunda too. Have another go with their new March dates — on 28 and 29 of the month. The deets. It's International Women's Day. Head to Eastside Projects from 10am to join the conversation. Let's be honest, work may well not notice you're gone. Former River Cottage chef Tim Maddams is at Simpsons talking and feeding sustainably March 22 and 23. Join him? The ever so lovely Hampton Clinic is giving away a full body massage and hydrafacial. All you need do is subscribe to our big-thinking little sister of a title Bell & Smokey, by 2pm on Monday March 19, to enter.